On the four-hour chart Tenkan-sen line is above Kijun-sen, they are both directed upwards. Chinkou Span line is above the price chart, current cloud is descending. 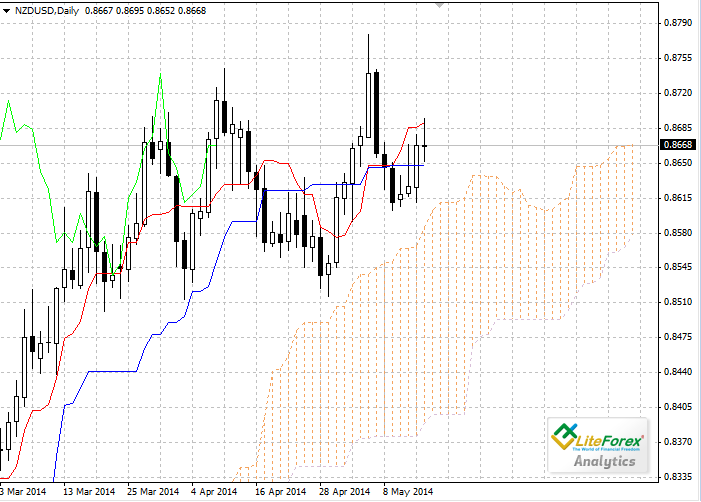 The pair is trying to break through the upper border of the cloud, which is a resistance level (0.8677). Tenkan-sen line is the closest support level (0.8653). Let’s look at the daily chart. Tenkan-sen line has crossed Kijun-sen from below, indicating new wave of the Bullish trend. Chinkou Span line is following the price chart; current cloud is ascending. The pair is trading between Tenkan-sen (0.8691) and Kijun-sen (0.8648) lines, which become resistance and support levels respectively. 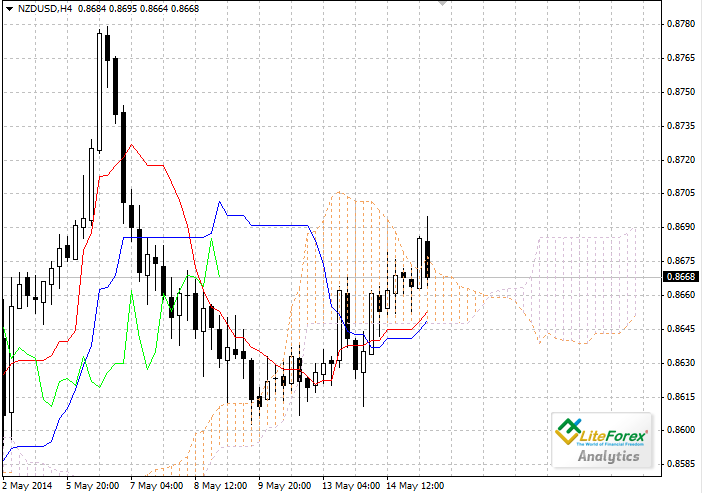 On the four-hour chart the pair is trading within the cloud, it is not recommended to open new trades at current price. Pending buy orders can be placed above 0.8677.